There are very few people that can say they have used tool available to them in their local gym. Some bars and machines may seem intimidating, or maybe you simply thing it is not something you need to worry about. Perhaps one of the least tools in the gym is the hex bar (also known as a trap bar.) Sometimes diamond shaped, sometimes hexagonal (thus the name) bar may have an awkward appearance, but it is one of the best equipment a weightlifter can use. The trap bar was created and patented in 1985 by a powerlifter trying to work the muscles used in deadlifts and squats, despite chronic back pain. What he created was a great alternative for those exercise, and according to some, a superior one at that. The following article with go over the hex bar, so next time you are in the gym, you may feel inclined to give it a try! How Much Does a Hex Bar Weight? The hex-bar, compared to the standard deadlift, works the same muscle groups. It is just as effective as the deadlift, while some argue it even better than the standard lift. Just like the deadlift, using a trap bar works the quadriceps, hamstrings, glutes, and lower back. What makes it a bit different from the standard deadlift, is based on the better posture the hex bar allows, it takes stress off of the lower back, glutes, and hamstrings, while still working them. This allows the quadriceps to be used more on the lift. 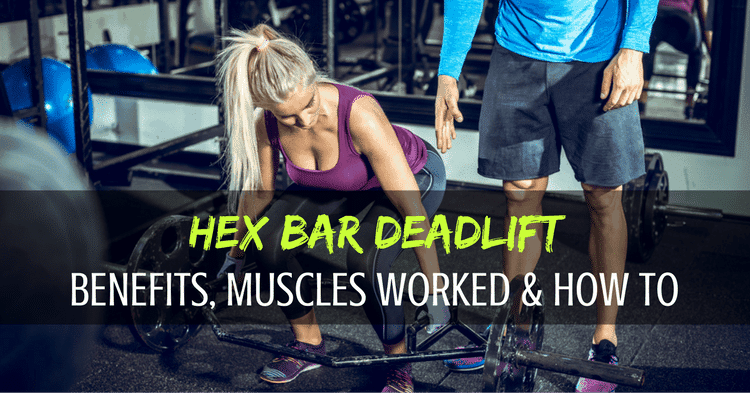 Using a hex-bar has many benefits when compared to the standard Olympic deadlift bar. Safety is always an issue when lifting. You want to be able to lift as much as possible. But you want to do it effectively, safely and within your ability. Using a hex-bar takes a large amount of stress off of your lower back. Anytime you can work the exact same muscle groups with less strain is a victory. The hex bar also allows you to lift more than the standard deadlift. In a UK study, powerlifters were able to lift 50 pounds more on a hex-bar than a standard deadlift. This will of course lead to more strength gain in the gym, with less risk of injury. The reason you can lift more is the mechanical position you are in when using a hex bar. You are closer to the bar, and your center of gravity is not compromised. This allows you to lift safer, and more than you would with a standard deadlift. If you aren’t a powerlifter, the hex bar might be a better choice for you. A study was done comparing the benefits of a hex bar compared to a standard bar for non-powerlifters. The study decided that the hex bar was more beneficial for the everyday causal lifter. The reasoning was simple: easier on the body, less risk of injury, and more comparable to real-life situations. The researchers believed that the trap bar lift was more likely to be replicated in real life compared to the standard Olympic lift. Just like any other lift, form is the most important aspect of the exercise. Several things are very important when you are making safety your biggest priority. To do a deadlift correctly using the hex bar, squat down and grab the handles while standing in the middle of the hex bar. Knees should be over your toes, and you should always be looking forward, not down. This prevents the back from curving, allowing max efficiency and safety. This is your starting position. You should have your thighs slightly above parallel to the ground. Your torso should be at a 45 degree angle. You must keep a straight back by looking forward. Putting slightly more weight on your heels than your toes, push your heels down, and extend your knees and hips. Do this until you are upright. Then lower back to the start slowly, breathing out moving up and breathing in going down. The movement should be slow and controlled. Typically, a hex bar will weigh 45 pounds. This is the standard weight of the hex bar. Lighter and heavier versions exist, but typically this is the standard weight. When doing any lift, hex bar deadlift included, it is important to know how much the bar weights so you can stay consistent and track your progress. One of the biggest problem of the traditional squat and traditional deadlift is the amount of stress the spine is put under. The hip is the axis of rotation on both lifts. When doing traditional lifts, the weight is very far away from the axis. This causes the back to take unnecessary stress and harm when doing the lifts. The biggest issue, aside from the pain and injury the traditional lifts can cause, is that you will eventually be limited to how much your back can handle, rather than your legs ability to move the weight. When lifting, anything that prevents growth is a bad thing, and the hex bar takes away this issue. Because you are inside the hex bar when doing the exercise, the distance from the rotation axis is much smaller, lowering the stress the spine is put under. This allows growth, and more importantly, decreases the chance of injury. Not only is the hex bar a safer alternative, but as it turns out, it is a more effective exercise when your goal is building maximum power and strength. When measuring velocity, power, and peak force produced with each type of exercise, the trap bar showed significantly greater levels in all categories. This means, in general, the hex bar allows you to lift more weight over a greater distance faster than traditional methods. What does this mean for you exactly? Well for lifters and coaches alike, this is a very important discovery. This means that using a hex bar is not only safer, but is as (or more) effective than the traditional squat and deadlift! Teaching proper traditional deadlift for is an absolute must in order to achieve proper levels of safety and production. This is much easier said than done. A beginning lifter should seek professional advice when doing a traditional deadlift. This is not always realistic, and most people just end up doing it wrong, which can cause major injury. This is another argument for the hex bar. Based on the structure of the bar, it is much easier, and more natural to be in proper form right away. It is a much more natural position, and you won’t have to worry about the dreaded knee scrapes that you do with a traditional deadlift! The hex bar is a great tool for any weightlifter. It can be used when you are concerned about back injuries, or if you are just looking for a new lift to compliment (or even replace) the traditional deadlift and squat. Next time you are looking to add some variety to your lifting routine, look no further than that funny looking bar in the corner of your gym. It’s a great tool, and shouldn’t be ignored any longer! I’m a big fan of Hex Bar deadlifts. 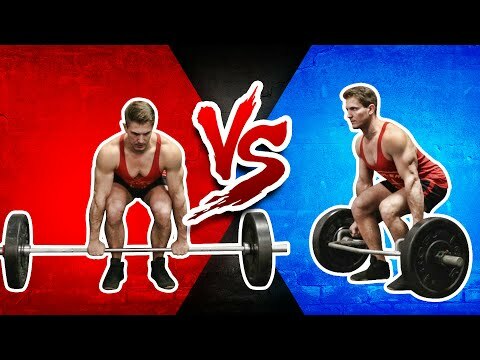 I would like to see more high school strength programs go to these over traditional deadlifts for the safety reasons mentioned above. Only reason I don’t do them often now is real estate is limited in my home gym and that is a big bar with only one use. I definitely plan on having one at my next home gym. I think it’s better to use a local gym than buy tools for the house. 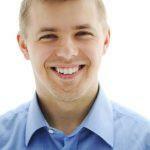 In addition, in the gym there are always professional coaches that will help to work correctly. 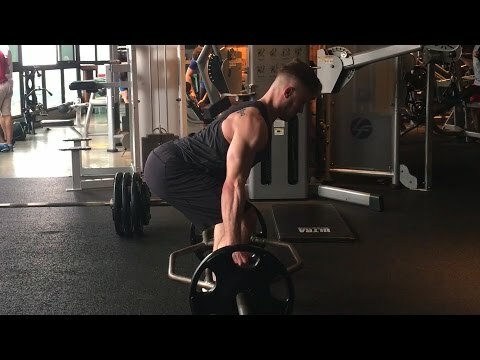 Good overview of using a hex bar! I’ve never talked to anyone who regretted buying one or dislikes using it. The ergonomics really helps people load up extra weight.